The 2.4GHz Active Temperature Log is specially designed for the security of the perishable food, medicine and other especial goods through long distance transport or short-haul distribution. It can detect and store the temperature during the transport for the analysis of the control center, to confirm whether the food and medicine accord with the using standard or not, so that can ensure the safety of the commodity effectively and reduce the medicine or food quality accidents. 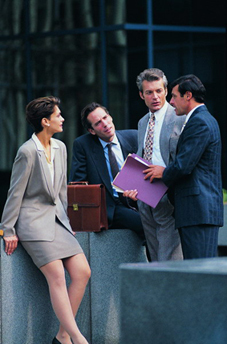 (1) Relating information: before using the tag, it should relate it to the tracked objects, such as name, type, serial number, require storage temperature, use and so on. (2) Let the tag be active via the reader and record the activated time. Get the storage temperature info of the tag when reach to the destinations, and then sleep the tag by the reader. The effective configurable range can up to 20 meters. 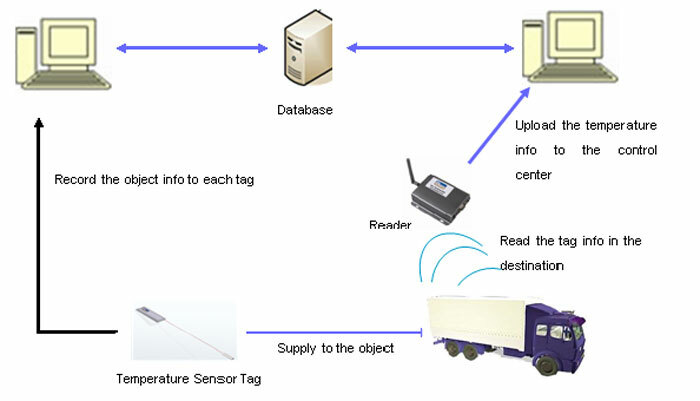 (4) During the transport, the tag can detect the temperature data at different time point and store in the tag. (5) The reader reads the tag’s data and uploads to the control center. According these data, the control center is able to analyze the change of the commodity temperature, which is helpful for judging the quality of the food and medicine, improving the using safety.